When I got pregnant everyone talked about pregnancy brain. As my belly grew, my mind seemed to go, at least my memory did. I was sure it would come back once the baby popped out. So, the baby was born and then my memory didn't seem to recover. To our surprise we were pregnant again, so I chalked it up to another pregnancy brain. Now, I just think my brain needs a little help getting itself back on track. Mommy Moments with Abby's review of Prevagen: I've been taking this for about two weeks now. Not long, but long enough to check out the affects. My stomach is very sensitive to vitamins and pills, so I made sure to take it in the middle of a meal. This way my stomach was in the middle of digesting and the pill would fall into that process by being surrounded by food. I didn't notice many affects at first. I have however found that my mind has been feeling clearer. I have been feeling less foggy in my thoughts. While they are still coming slower than they used to and I'm still forgetting things I used to remember, the thoughts are clearer. I can feel connections being made from thoughts to memories and have had more of them connect coming through. So, while it is still to early to tell exactly if this product is efficiently working or if its just a lack of pregnancy for 2 years, I can say that the fog is lifting in my brain. 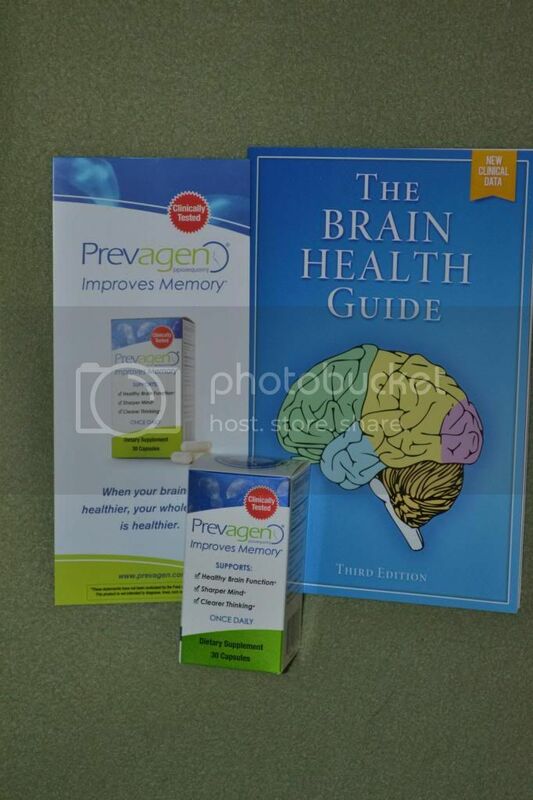 From the makers of Quincy Bioscience, Prevagen (pronounced “prev-uh-gen”) is a unique brain health supplement that promotes clearer thinking and improves memory. Prevagen’s main ingredient is a new use for a well-known protein called “apoaequorin” which was originally found in a certain species of jellyfish. As we age, the body’s ability to produce essential proteins slows down. When this happens you begin to lose about 30,000 brain cells every day, and may start to experience difficulty with memory, focus and concentration. Apoaequorin has been clinically tested and shown to supplement these proteins during the natural process of aging and improves brain health and overall memory. In 2012, Prevagen became the number one selling brain health supplement in chain drug stores across the country, and continues to remain on top. Prevagen is available in health food stores and pharmacies nationwide including Walgreen, CVS, Rite Aid, and Vitamin Shoppe. Prevagen is safe and effective. Daily use for 30-90 days is the recommended length of time to experience noticeable results. Thanks for sharing - this products sounds great.